P.J. Roofing, Inc has been providing reliable, high quality roof installations in Citrus Springs, Florida since 2003. When it comes to a first-rate roof installation in Citrus Springs, our skilled roofers do the job right. We value our commitment to quality and high standards with every roof we install. We at P.J. Roofing, Inc have the expertise and dependability that you are looking for. We offer the most professional and affordable residential and commercial services for roof installation in Citrus Springs, FL. Give us a call and find out why we're Citrus Springs's roofing experts of choice! P.J. Roofing, Inc can successfully install a roof in Citrus Springs using any roofing material in the market today. We install metal roofs, shingle roofs and asphalt roofs, just to name a few. P.J. Roofing, Inc offers a wide selection of roofing materials to Citrus Springs customers, so that you may choose the products that best fit your building's architecture and your personal preferences. P.J. Roofing, Inc has a proven track record delivering superior roofing installations in Citrus Springs. Let our experienced roofers help you determine the right solution for your Citrus Springs roofing needs. Installing a roof in Citrus Springs? Don’t hesitate to call us! P.J. Roofing, Inc are the leaders in roof installations for any building, office or home. Whether it’s a metal roof installation or you need us to install a shingle roof in Citrus Springs, we are your go-to roofing company in Citrus Springs. Since 2003, P.J. 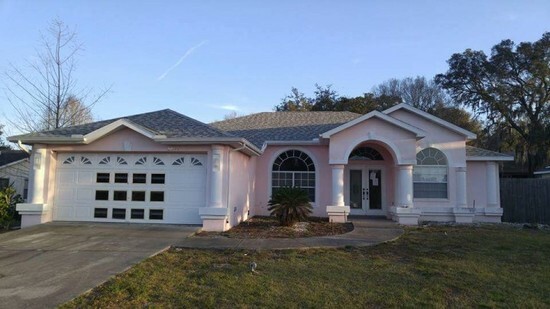 Roofing, Inc has been skillfully installing roofs in Citrus Springs. We have built a reputation being dependable and affordable for 16 years. You can trust that P.J. Roofing, Inc’s roofers in Citrus Springs are as courteous as they are knowledgeable. Contact P.J. Roofing, Inc about your roof install in Citrus Springs, Florida. Our Citrus Springs roofers will be happy to provide you with a competitive roofing quote and stand by the outstanding roofing service that we deliver.